Dermal fillers are very popular treatments, there are even people doing them in shopping centers, but don’t let this fool you. When done correctly they can give a beautiful youthful restoration to the treated area, but they are not without risk. I will discuss this with you at length during your first appointment, and you can decide if the treatment feels right for you. I will only perform a treatment if I believe it to be of minimal risk and the treatment outcome fabulous. I have been injecting non-permanent dermal fillers (branded names such as: Juvederm, Restylane, Esthelis, Belotero) for over 15 years. My approach is certainly less-is-more, I aim to help replenish lost volume and restore contours that flatten with age. I aim to help create a natural looking shape and soften bothersome lines around the lips. My philosophy in general is against the Bratz Doll look for humans. Most of us don’t want a trout pout that only looks good (marginally, if that is your thing) in a static Instagram shot and looks rubbery in real life when those same lips move when eating and talking. The non-permanent injectable fillers treatments I use are made from Hyaluronic acid: a sugar like syrup that is naturally present in the skin tissue & around many of our joints. These are artificially produced though (gone are the days of using collagen from cows, thank heavens). This substance will help to retain moisture, hydrating and filling out the skin. When done well, the result can be fabulous. Most practitioners market that these treatments have no downtime, but really, you need to allow some time for swelling to reduce and any bruising to go away. Mostly you can get away with makeup and press on with your day. I don’t try to promise no bruising after a treatment. My injections are done using a very fine needle & I spread it out thinly with lots of fine small injections, this gives the best result, rather than trying to limit the injection points and injecting larger amounts per injection site. Overall the end result is what is most important. I pride myself on my beautifully fine work. My patients faces, in my opinion, don’t resemble the current trend of overfilled dolls. The treatment consists of multiple injections during a session and is provided by our Registered Nurse Kathleen in collaboration with a medical doctor in Wollongong. Results are often visible immediately and the effects last between 3 and 18 months. You often need to gradually build on the base of filler to reach long lasting results. Again here less-is-more, we work slowly and carefully to give you the best outcome with minimal risk. The Hyaluronic gel being used is synthetically produced and is similar to a natural substance found in the human body (like a sugar syrup), it is cross linked to stabilise it and give longevity to the result. Dermal fillers are generally safe, when care is taken to reduce risks during the procedure, and should be easy to dissolve if the patient ever wishes to reverse the treatment. Treating gently and carefully, spreading the injections out finely, mapping out arteries, and using small amounts all help to reduce your risk of adverse events following treatment. Some clinics aim to sell the products for less, but perhaps in the end sell you more in volume, making you feel like you get a better deal. I believe this approach is ruining beautiful faces, & the non-surgical cosmetic industry, patients are being over treated and their potential for adverse events is increased. Don’t pay rock bottom for a poorly executed treatment. All of my patients desiring filler treatments will need to see me in Wollongong, this is best practice in my opinion. I have an experienced Doctor at hand, as well as support staff should anything untoward happen during your treatment. I don’t offer a shopping center like experience, your face and your outcome is far too important to me for that. It is more convenient for me to treat you in Minnamurra, and likely easier for you too if you are a local, but its is safer practice for you to come to the room of my prescribing Doctor where multiple hands can be on deck if required. in my 15 years of injecting I have never had anything untoward happen during a filler treatment (excluding a nervous patient fainting!) Neverless a lot needs to happen in a very short period of time if it does & the more helpers the better for your outcome, in my opinion. Kathleen works with Dr Mizori of South Coast Cosmetic, Skin & Vein Clinic in Wollongong in order to provide a high standard of care and a valid medical prescription for injectable treatments. 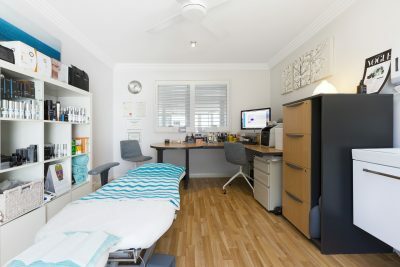 Filler must always be done in Wollongong, for your safety, the rooms are lovely and clean, and there is plenty of free parking available at the rear of the wollongong premises. Anti-wrinkle injections can be performed in Wollongong or the Minnamurra clinic, ‘Minnamurra MediSpa’ which is in the Shellharbour region, close to Kiama Downs. These treatments still require a valid medical prescription which we will arrange together when I see you. If you desire injectable filler treatment, please call wollongong on 4227 2000 and request an appointment with Kathleen Hoskins in Dr Mizori’s rooms.